Confused, Forgetful, Limited Concentration, Mixing Up Words, Complete Loss of Speech, Severe Short-Term Memory Loss… Many of the millions of people across the planet with severe pain complain of these cognitive difficulties, some even saying that this is one of the most debilitating (and embarrassing) symptoms, referred to as “Brain Fog” when it occurs in other conditions such as RSD/CRPS, Lupus, MS, CFS to name just a few. Brain fog is a very common complaint among patients with RSD/CRPS but can also affect other severe Chronic Pain Conditions, especially when sensory overload is occurring. The cause of the “Fog” isn’t fully understood. Many believe that it may have to do with Chronic Pain Patients’ inability to Sleep Well, therefore they’re chronically fatigued, also Pain itself can be debilitating – it’s hard to concentrate when you’re in a lot of pain and experiencing sensory overload, which is why “Brain Fog” is not exclusive to Fibromyalgia patients. Symptoms of “Brain Fog” can range from Mild to Severe. They often vary from day-to-day, and not everyone has all of them. Inability to remember what’s just been read or heard. Forgetfulness of original task when distracted. Brain or Fibro Fog is like your brain is filled with “marshmallow”. Every Idea, Every Action, Every Thought, and Every Nerve Impulse must find its way through that “marshmallow” before it can go anywhere else. It slows your thought processes, blocks memory retrieval and formation, and even screws up co-ordination and fine motor movement. Many say they would put up with a little more of the pain associated with Fibromyalgia, if only they could get their heads back. Simple chores turn into major projects, which need to be planned step by step, and sometimes even written in steps so that the job gets done. Conversations become difficult as you forget the start of someone’s sentence before they finish it. And as for memory… What was I just saying? “Brain Fog”is an extremely annoying, but benign symptom of Fibromyalgia, CFS, RSD/CRPS, MS, in fact many more conditions where Pain, Fatigue and Changes in the Natural Balance of the Body’s Hormones Occur. It gets worse when you are tired, in pain or stressed but will not deteriorate with time. There is no magic bullet to cure it, though you will be able to moderate its effect on your life with careful management. DMAE (Dimethylaminoethanol): DMAE is a natural amino alcohol found in minute quantities in the brain. It is generally regarded as a precursor to choline, which is needed for the brain to produce acetylcholine, a neurotransmitter involved in nerve signal transmission and healthy brain function. Choline is an essential intermediate in the Synthesis of Phosphatidylcholine, a major constituent of the gray matter of brain tissue (30%). Citicoline promotes brain metabolism by enhancing the synthesis of acetylcholine and restoring phospholipid content in the brain. It’s another great supplement for brain health and increased cognitive function. Can help reduce episodes of brain-fog. Supports Cerebral Circulation in the brain, promotes mental function and memory; it’s said to help slow down the ageing process. It’s also beneficial for stopping dizziness and lack of balance, which is very common in many chronic pain conditions. Salmon is one of the best sources of omega-3 fats, which reduces the body’s production of inflammatory hormones (prostaglandins), helping with joint pain, mobility and brain health. Which is full of brain nutrition but also helps reduce joint pain too. Always make sure that these products are sustainably sourced from pollution-free waters. B vitamins can also help increase metabolism, support muscle tone, increase energy and enhance immune system function. Around 200-500 mg is necessary for pain relief. A common deficiency, magnesium is crucial in helping muscles relax, as well as enabling normal muscle and nerve function, keeping the heart rhythm steady and bones strong. It is also involved in energy metabolism, protein synthesis and helps neurotransmitters, or brain chemicals, communicate. A deficiency add both pain and increased brain fog.. It’s expensive but does help without the use of stimulants. Other ways you can learn to cope with the brain fog that severe pain and/or RSD/CRPS brings, is to always make notes – on your mobile using ‘notes apps’ or in a notebook, even on your laptop, these things help keep a record of what you need to remember. When stuck in a rut, we’re constantly treading the same brain pathways, however, engaging in a new activity literally wakes up our brains. This is because the brain has to lay new neural pathways to process new information. Numerous studies have found that excessive TV watching is associated with depression, lower cognitive function and a decline in overall physical health; if you find yourself stuck and resorting to doing very little to help heal yourself or manage your pain, try to inspire a new start and positive chapter by changing your routine (and opting not to watch television); it not only helps your mood but also has been shown to increase cognitive function. In other life areas, the opposite can help. Develop routines to become more efficient; daily living with brain fog becomes easier on a schedule. Routines train the brain and allow for more mental energy to be directed elsewhere. Our multi-tasking modern lives – with computers, TV, texting, tweeting, emails and phone calls all going at once – overstimulates the brain and increases our already high stress levels. Our brains can only hold one thought at a time and with severe pain, part of you is always focusing on the pain; constant interruptions disrupt our ability to focus, concentrate and keep information even further. Nature has a calming effect. So sit outside if you have an outside area, even enlist some help to take you to a park. If you are blessed with nature close to home, take advantage and stop to watch the sunset or just gaze at evening stars. People who walked through a wooded park for 15 minutes much improved their performance on an attention test, according to a 2008 University of Michigan study. If you can do and if it is beyond your limitations, still aim to be taken outside when it is warm enough (or you are wrapped up warm enough) and let its energies soothe you. The beauty of nature will give your prefrontal cortex – the area of your brain that helps you focus – an opportunity to recharge. Try Meditation, Restorative Yoga, Chi Kung or Tai Chi. Relaxing activities such as yoga, tai chi and meditation can improve problems with sleep, fatigue, poor memory and anxiety – all of which are linked to brain fog, according to many studies. Pick Your Best Time of Day. Most of us have better and worse times of the day where our focus or pain is at its lowest; do the tasks that need concentration and mental clarity during the hours you are sharpest. The best time of day varies from person to person, find the time that’s best for you. Organize your life and surroundings. The more tasks that accumulate and the more chaos exists in your surroundings, the worse brain fog seems to be. Reduce the distractions that clutter your thinking. For example, always put your keys in your purse when you arrive home. If your fog is thickest in the morning, put out your clothes the night before. Postpone, Switch Tasks or Cancel Activities. If you’re not thinking clearly, postpone jobs that are mentally challenging, switch to a simpler task or take a break. When you’re too tired and foggy to think, put things off until the next day and get extra rest instead. You can also use the presence of brain fog as a signal to cut back. If your brain fog is worse than usual, it can be a sign that you need to cancel some activities or at least take a break. Many chronic pain patients are sensitive to noise, to light or to sensory input coming from more than one source at the same time (such as, trying to have a discussion with the TV on), limit sensory input by moving to a quiet place and avoiding distractions. Physical activity can increase energy and clear your mind. Activity includes exercise but can be as simple as laughing, singing and deep breathing. For some people, fog may be triggered by lack of nutrition, so for them, eating counteracts mental fogginess. Researchers are learning more about the brain and how it works, and new information could help us understand brain fog. Research on aging brains and some degenerative brain conditions shows that cognitive training can slow, stop or sometimes reverse cognitive dysfunction. 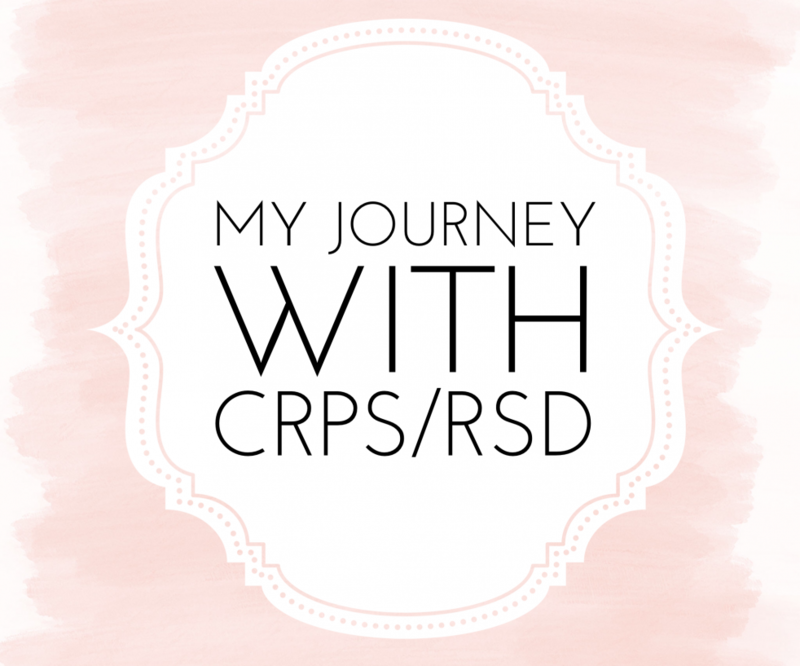 RSD/CRPS is often associated with pain, depression, and anxiety. But now a few studies have confirmed that cognitive function – or how well the brain works – is not related to emotional disorders but instead potentially has a direct link to the high pain levels. Acceptance is the key for dealing with most issues related to your variable illness. Have self-compassion and stop beating yourself up for things you can’t change. Life changes dramatically when you’re diagnosed with chronic pain diseases. Learning to accept and adapt will remove a lot of self-imposed pressure.